To celebrate the re-opening of The Stone Kitchen and officially launch our spanking new indoor Kids’ Zone, we have decided to throw a big party and you are all invited! Lucky draw: We’re giving away a free kids’ party for up to 20 children valued at R2,000 to one of our lucky guests! 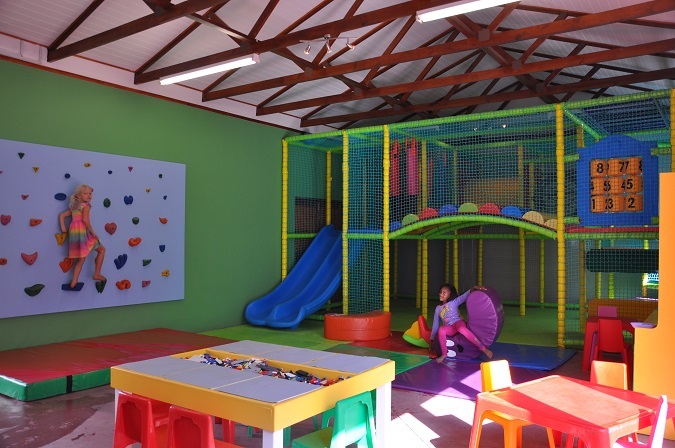 The new kids’ zone at The Stone Kitchen, Dunstone Country Estate, offers a large soft play area, climbing wall and lego table, with several kids’ tables and chairs for coloring in and enjoying a bite from our kiddies’ menu. Whilst connected to the main restaurant both inside and outside, the kids’ zone is soundproofed to keep noise levels to a minimum, allowing adults to enjoy their meal in the main dining area. Best of all, our viewing window allows mums and dads to keep a watchful eye! In the garden, there is even more for our Dunstone kids to enjoy than before. In addition to our mud kitchen, duck pond, trampoline, jungle gym, sandpit and swings, we have now built a colourful putt-putt course to keep older kids entertained for longer.